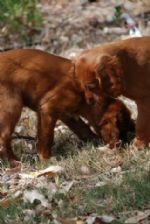 Columcille puppies are bred by Bill Cross. All pups have new homes now. We hope you enjoy viewing pics of these pups and seeing them grow. They were born on October 8, 2010. As you can see Mum Leigh and her helpers did a great job! 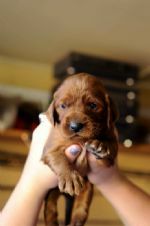 Leigh is a litter sister to Remi who is the sire of Gracie's litter.